The Lasallian District of San Francisco New Orleans held an art competition. Read more! The District of San Francisco New Orleans (SFNO) Office of Communications is pleased to announce the winners of its 2018 Christmas Card Student Art Contest. Two winning designs were selected, one for the SFNO Christmas card and one for the Lasallian Region of North America’s Christian Brothers Conference (CBC) Christmas card. The winning SFNO card art below was created by Jocelyn Resendiz, a sophomore. The winning Christian Brothers Conference card art was created by Samuel Trejo, a senior at Cathedral High School, El Paso, TX. Jocelyn’s art teacher is Ms. Melissa Schwindenhammer. 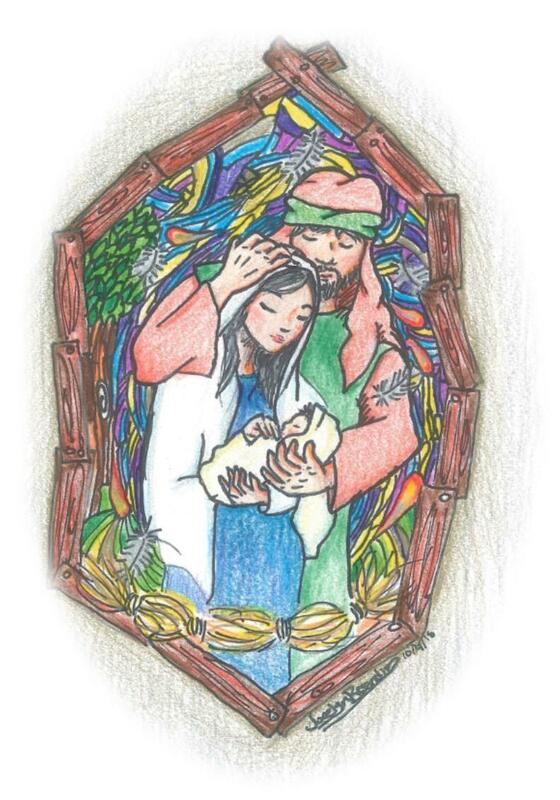 The winning artwork was selected based on its overall artistic quality and impression, and on its representation of the contest theme, “Mary, Joseph, and the Infant Jesus.” Judges for the SFNO card were the members of the SFNO District Leadership Team. Judges for the CBC card were members of the CBC staff. Congratulations Jocelyn! Jocelyn plans to attend the Academy of Art University in San Francisco. She loves art because it gives her the freedom to demonstrate a story without sound or movement.